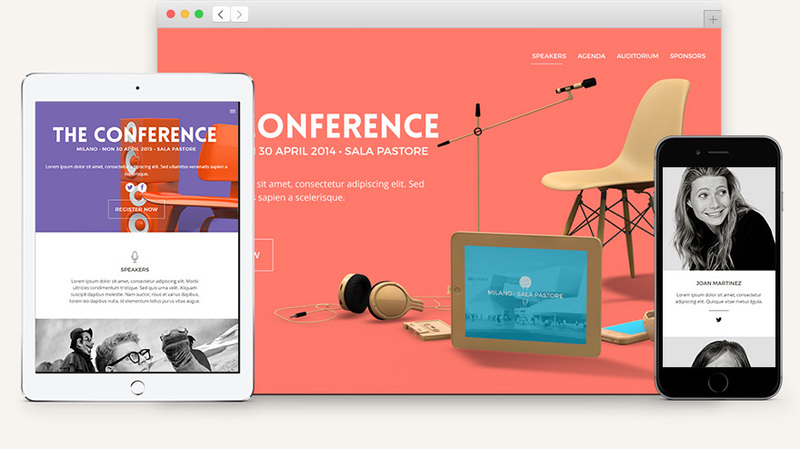 A classic and versatile HTML5 one page landing template, ideal for a conference landing page or any type of website. Conference has three distinctive 3D showcase graphics and all the ui elements to help you create a website template. We also included our custom JS plugins for added funcionalities. We decided to base our HTML5 website templates on the popular front-end framework Bootstrap. We also included some of our custom icon fonts and custom Pixeden JS plugins.